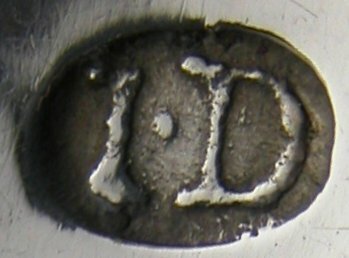 John Dalrymple’s mark is recorded on the Dublin assay office plate of 1765 to 1812. This pair of tongs is unusual being of a wide, plain, flared pattern with a thread edge. 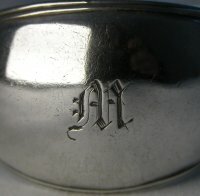 They have the usual Irish style bowls and a concave bow. They are engraved with a gothic style monogram which could well be of later date. I have dated them at c1800.